SSM is a video management software that provides features for surveillance operation such as live monitoring, video recording and playback and event based monitoring. SSM consists of two lineups, Professional and Enterprise according to server software composition. Professional is for small to mid solution that usually needs only video recording and sometimes video wall solution and more. Enterprise is for mid to high solution that has variety requirements for enterprise market such as failover and system integration. 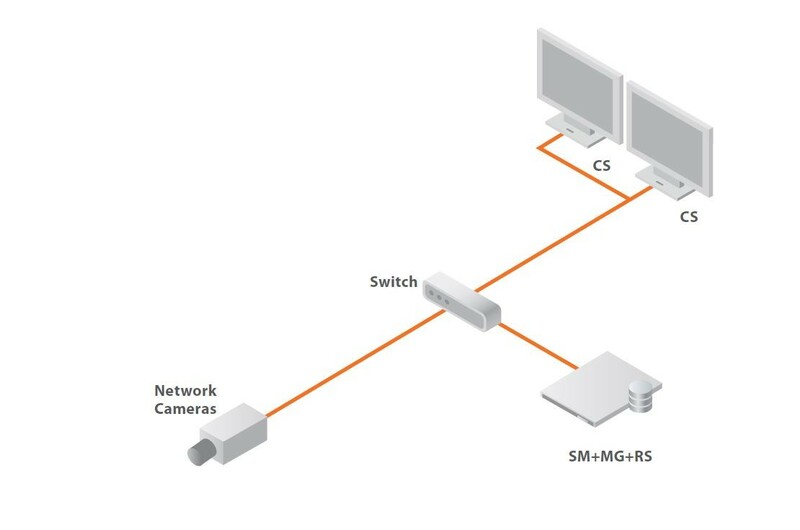 Even though it depends on performance of the server, one server can handle a solution under 100 cameras. Only one SM needs to be installed on site. 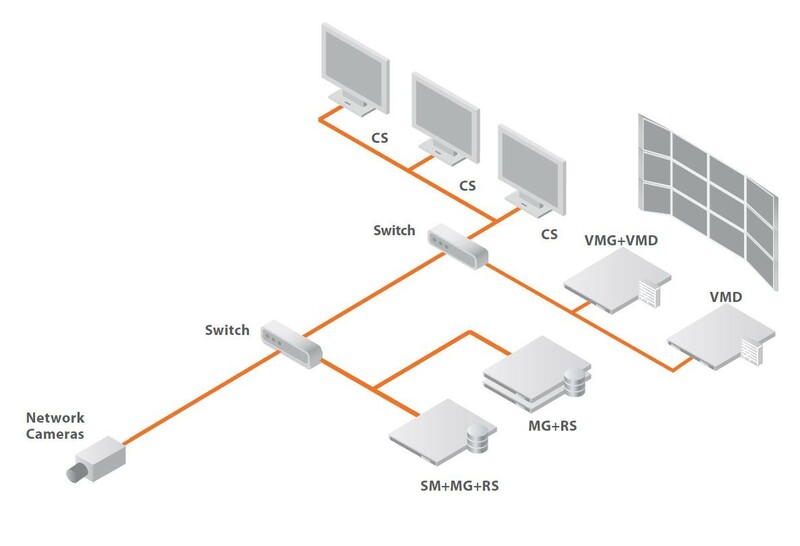 SM is not needed to be installed to a separated server but can be installed with a recording server. MG and RS can be installed to a server. 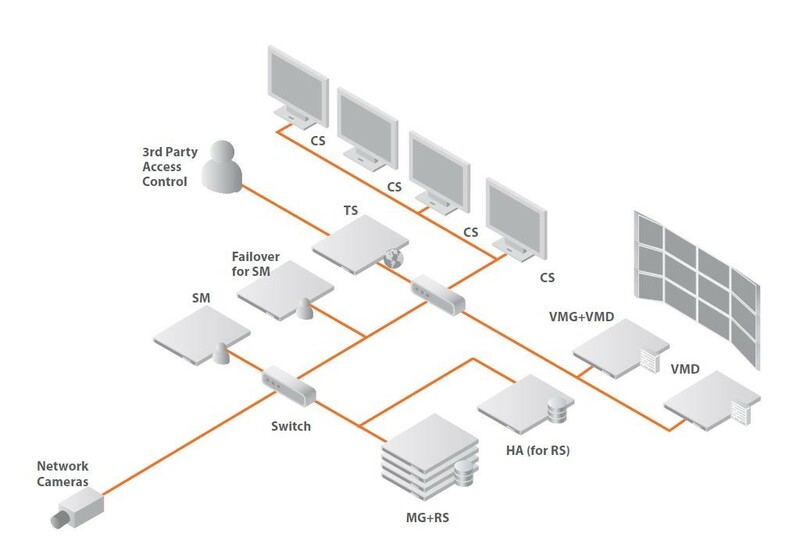 Only one VMG needs to be installed on site and it can be installed with VMD. For video wall system, a display server with 4 or more monitor output is commonly used instead of the expensive server that has RAID storage system. TS is needed for integration with a 3rd party access control or intruder alarm system.